It seems that a recent report concerning the identity of Zendaya's character in Spider-Man: Homecoming might have been inaccurate. 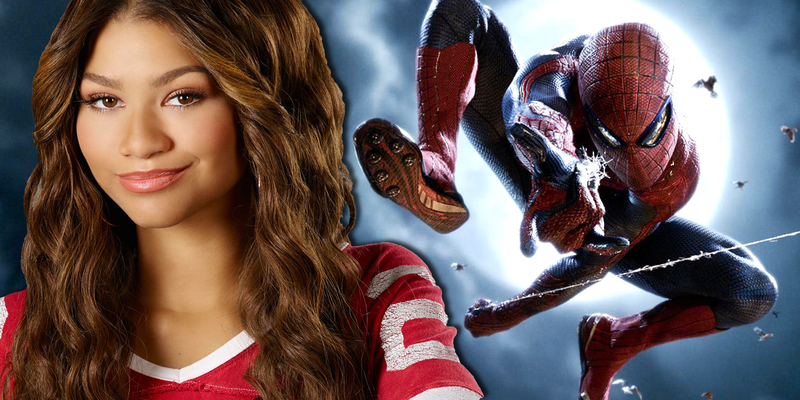 Having only been referred to as "Michelle" in all official material released for the film, the mystery surrounding Zendaya's role in the movie have fueled speculation that her character had a secret connection to one of the other major characters in Homecoming. The report concerning Zendaya's role in Homecoming alleged to be based on the junior novelization for the film, wherein it is revealed that Michelle's full name is Michelle Toomes - making her the daughter of the film's villain, Adrian Toomes/The Vulture (Michael Keaton). While that idea hinted at some fascinating wrinkles to the movie's larger storyline, it turns out it might not be the case after all. Screen Geek was first to pick up on chatter from the social media sites Tumblr and Reddit, asserting that the Homecoming novelization does not reveal Michelle's last name as being Toomes. After obtaining a copy of the junior novelization, Screen Rant has verified that this is accurate. The character of Michelle is never given a last name in any of the ten chapters of the Homecoming novelization. In regards to her relationship with Spider-Man, she's primarily identified by the author Jim McCann as "the artsy kid at his school full of science and math whizzes [who] loves to give Peter a hard time." Not much characterization is given beyond that, only confirming what we've seen of Zendaya's character in the Homecoming trailers. The rumor loses credibility for now, as no concrete information has been found to suggest that Zendaya's character has a connection to Spidey's main enemy in Homecoming. However, to suggest the rumor should be completely put to rest would also be false. Based on what we've seen from marketing materials, the junior novelization for Spider-Man: Homecoming does not cover the entire film. The final chapter of the book takes place during the Washington D.C. action set piece, as the resolution of the book does not seem like the end to a major superhero blockbuster. It's common practice for the junior novelizations behind major blockbusters to avoid giving away too many plot details, especially the kind that could be considered spoilers - like the rumored Michelle/Vulture connection. Hence, Zendaya could very well still be related to Adrian Toome in some way in Homecoming, as it appears that the book doesn't even approach the third act of the film (there's no mention of the big airplane battle we've seen in the Homecoming trailers and TV spots). In short: this specific piece of merchandise does not add credibility to the previous rumor... but it doesn't completely disprove it, either.